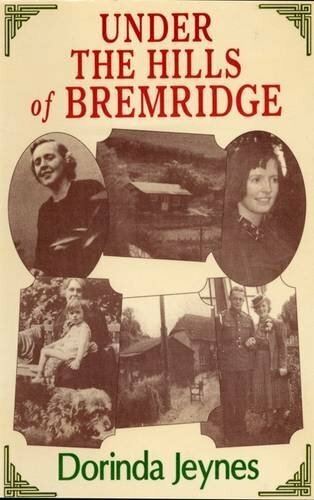 Following on from her book Back Along, Up Bremridge Dorinda Jeynes starts this book by delving into the history of the Bremridges themselves. This leads to her own grandmother's purchase of a derelict cottage down 'under the hills' at Heath Bridge, a place which had once been a village, and the inclusion of the Parson's Census from 1790, 1793 and 1800 reveals much about the past history and living conditions in this area. A small bungalow was built next to the cottage, and the resurrection of these two dwellings, followed by the succession of tenants in them, brings the book up to the present time. Dorinda Jeynes has a unique way of equating the past with the present, with memories of amusing incidents, hardships and amazing characters interwoven with her own day to day life and those people who have helped her along the way. Once again, as in her previous book, we are given a slice of countryside history with photographs and drawings included to enhance the memories.